How do you face the Judgment Day – the day you pay your stipulated taxes and present or take stock of your accounts? Do you do it all alone or employ a specialist Singapore tax & accounting firm to do so? As an experienced person who wants to focus on business, you know that a lot depends on the answers to these questions. 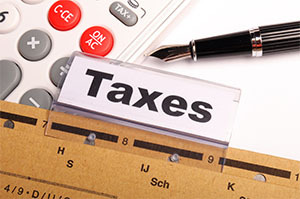 Taxation Singapore firms offer variety of tax and accounting related services. It is also important for every company to ensure that they are having sound accounting records in place. The objective of this write–up is to provide complete information on the accounting & tax services in Singapore. Please take a moment to review our full line of tax and accounting services as listed below. Singapore Personal Income Tax – It is applied to the income earned locally. No tax is applied to income below S$20,000, and income above S$3,20,000 is taxed with highest rate of 20%. Singapore residents above 60 years of age get 50% tax relief, and those below 60 years get 30% of tax rebate. Non-residents pay personal tax in Singapore at a flat rate of 15%. Singapore Corporate Tax – It stands at a flat rate of 17%. Companies can turn to SBS Consulting for corporate tax filing, tax planning and preparation of Form C.
Singapore Property Tax – It applies for all non-residential properties i.e. industrial and commercial buildings and residential land. It is set at flat property tax rate of 10%. Owner-occupied residences with an annual value of S$47,000 – S$1,30,000 plus, attracts tax rates between 4% – 15%. For Non-owner-occupied residences valued at S$30,000 – S$90,000 annually, invites tax rates between 10% – 19%. There are tax rebates available too. Singapore Withholding Tax – It is a part of the payment paid by a Singapore based company to a foreign company or an individual. This amount is paid to Inland Revenue Authority of Singapore (IRAS) as withholding tax. For foreign companies the tax rate varies from 2% – 20% depending on the services. For non-residents, it is at a flat 15%. GST Singapore or Goods and Services Tax – GST at 7% is applied to the consumption of all types of goods and use of services. Business entities accumulating S$1million by selling taxable services and goods during last 4 quarters, or those expecting to do the same over the period of next 4 quarters, are expected to register and pay goods and services tax (GST). Exports to international markets are exempt from this tax. Tax for Non-Residents – This tax differs depending on how long these professionals work in Singapore. There is no tax for a professional working in Singapore for only 60 days. If he works for 183 days continuously, tax is 15% of the gross income or resident rates are applied. Directors and consultants are taxed at 20% of their fees. ECI Singapore – Each and every company, at the end of its financial year must report its estimable chargeable income, ECI Singapore, to IRAS (Inland Revenue Authority of Singapore). ECI statement must be filed with IRAS within 90 days from the end of company’s financial year and must include company’s main source of income. Revenue from sale of fixed assets is not expected to be included in it. Double Tax Treaties – The Singapore government with authorities from other trading nations signs these treaties. These treaties save the taxpayer from paying the taxes twice, once in the Singapore and once in the country, where the amount is remitted. In addition to Singapore taxation, SBS Consulting also offers accounting and bookkeeping services. The accounting services Singapore include XBRL filing, compilation of financial statements, forensic accounting, and preparation of director’s report, corporate accounting services, and professional accounting services. The accounting practices are compliant with the regulatory framework of ACRA and IRAS.